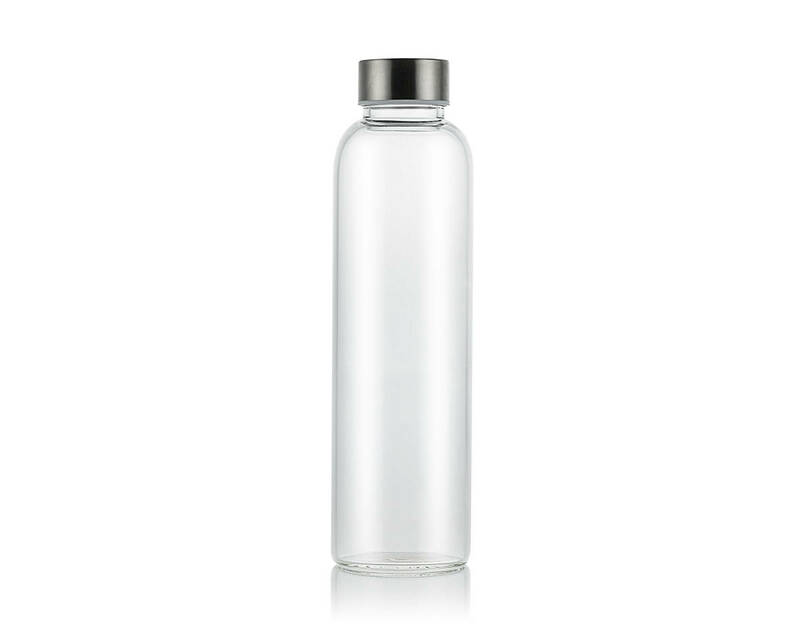 Made from heat and cold resistant borosilicate glass, this bottle can withstand temperatures from -20C to 120C. It's ideal for storing juice at home, or taking it to work or the gym. 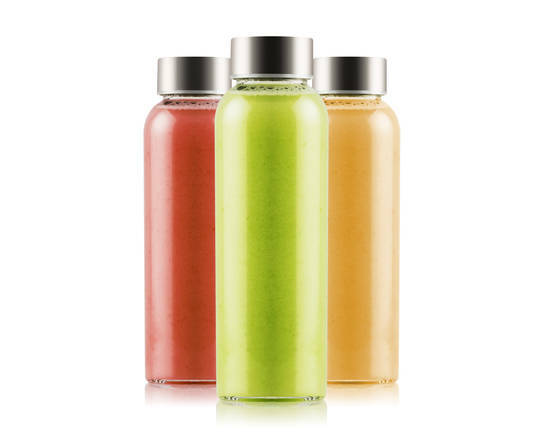 BPA-free, this bottle has a stainless steel cap with a silicone liner for the most hygienic way to store juice. 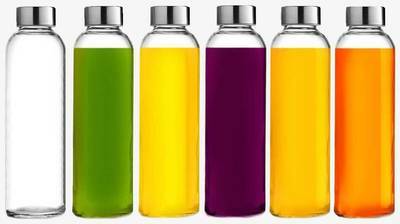 Premium quality and design - These bottles are made of strong, high-quality borosilicate glass that does not contain lead, cadmium, BPA or phthalates. They are ideal for storing all kinds of drinks and liquids including juice, smoothies, water, coffee, tea, and even thicker things like sauces, salad dressings, or kombucha. The silicone inner seal protects against leaks, even if the bottle is upside down. 100% hygienic - Made of ultra-smooth soda-lime-silica glass, they are very low-expansion, impermeable, incredibly impact-resistant and also resistant to extreme temperatures. 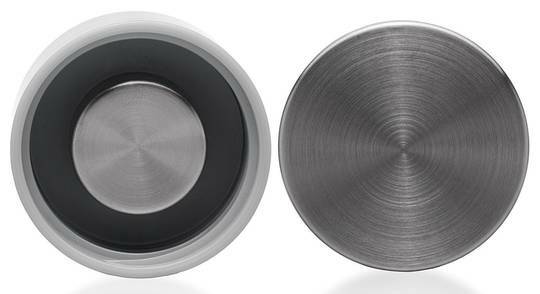 The bottles and lids are easy to clean and dishwasher safe. The stainless steel and silicone lid creates an air-tight seal, keeping out oxygen and preserving the fresh taste longer. They are the perfect alternative to dangerous plastic bottles. Ideal for freshness on the go - Our borosilicate bottles are great for storing drinking water, juices, smoothies, and hot liquids. The design fits nicely in a fridge door shelf. Or take it with you to the gym, office, one a picnic...anywhere you need. The thick glass keeps liquids cool longer than thin plastic bottles. Even use it for hot soup, tea, of coffee.